Update: Download Samsung Experience 10 Home Launcher from Galaxy S9 Android 9.0 Pie for non-rooted devices. Coupled with the new Samsung Experience 10 Theme, will get you the complete package. Samsung Experience 10 got leaked for the Galaxy S9 and S9 Plus. It comes with a new Samsung Experience 10 firmware based on Android 9 Pie. It also features a new Samsung UI with rounded quick settings, notifications, settings, and throughout the system. We also get to see a full dark notification panel if you set a dark theme or a manual/auto dark mode. The new recent apps is similar to Good Lock‘s Task Changer. 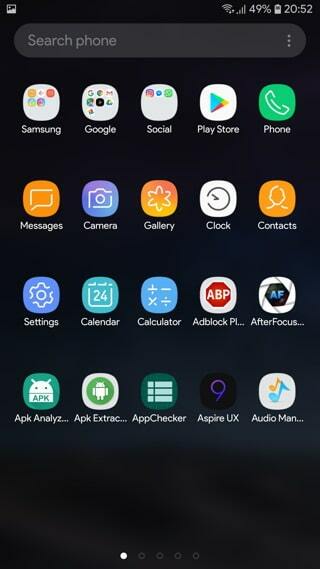 So download and install the latest Samsung Experience 10 Home Launcher from the leaked Android 9.0 Pie firmware update for the Galaxy S9 and S9 Plus. However, you won’t get all the Android Pie features just by installing a launcher. You will need the full firmware for that. Here is the latest Samsung Experience 10 launcher available for download with updated upcoming layout and features. Now, note that this is a launcher from the leaked firmware. The UI will not look like this. It will be better with Beta or official update. 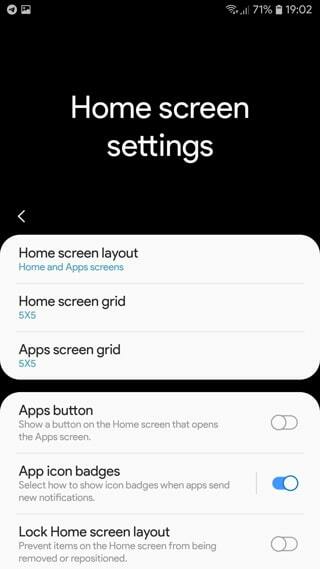 The Samsung Experience Home features the new home screen settings layout, app drawer, new folders layout, and much more. 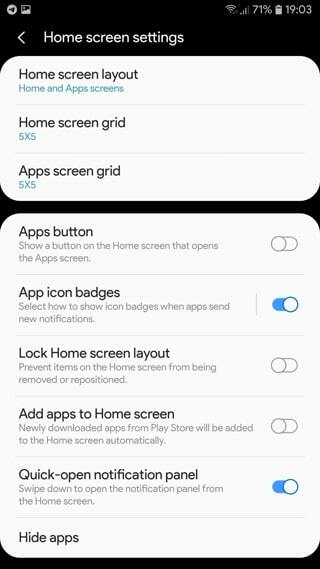 Here are some screenshots of the new layout of the SE 10 Home Launcher from Pie alpha build of the Galaxy S9. Important Note: This only work on rooted Android devices. This is because you will need to manually replace the stock launcher app from System > priv-app > TouchWiz Home and give proper permissions to the file. Extract the APK from zip first. Give it a proper name too! To see how to give proper permissions see this tutorial. 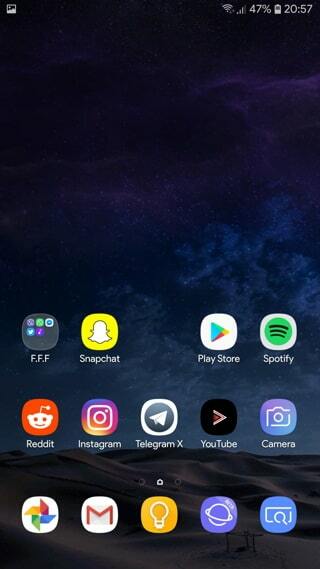 This is a non-root Samsung Experience 10 Launcher from Galaxy S9 Android 9.0 Pie firmware update for all the Android 8.0 Oreo+ devices. This runs on Galaxy Note 9, Note 8, Galaxy S9, S9 Plus, S8, S8 Plus, S7 and S7 Edge. Moreover, this launcher will not replace the original (or stock launcher of your Samsung devices). You will have 2 launcher packages, Simply apply the newly installed one. Note: Reboot after installing to avoid some Java exception related errors and then set the launcher as default one. Here is the latest Samsung Experience 10 Theme APK available for download. This theme will get you the new dark rounded quick settings, rounded notification panels, and much more. The theme has been tested on Samsung Galaxy S8 and S9 running Android 8.0 Oreo. Unfortunately, Samsung Experience 9.5 (8.1 Oreo) may not be compatible with this. Not going to credit the person who made the theme?